Join us at the 11th Annual Niagara EggFest 2019! 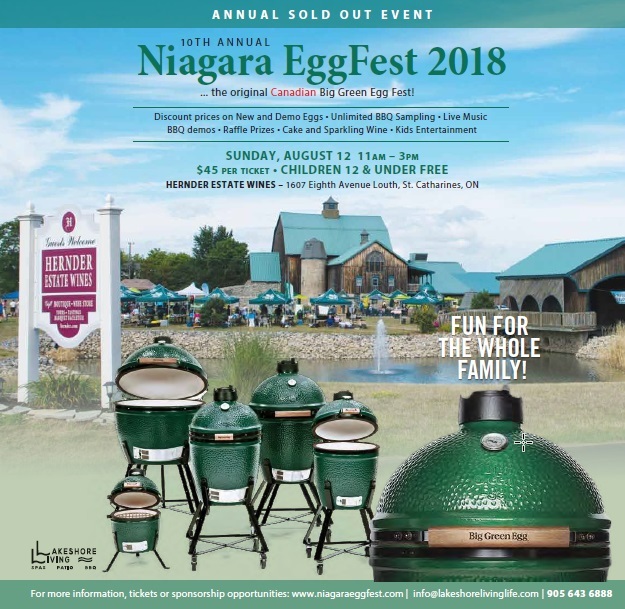 The Niagara EggFest is an annual family event dedicated to the Big Green Egg (BGE) BBQ and smoker, “Eggheads” (Egg owners), family and friends. It doesn’t matter if you own a BGE, want to taste great food, or learn about owning the World’s Best Smoker and Grill…the Eggfest is for you.